Gondor Calls! Are you prepared? 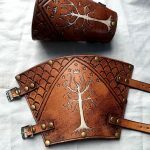 When Gondor calls, are you ready to come to their aid? 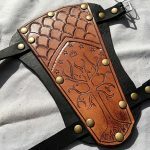 What better way to be prepared than to equip yourself with these fine Warriors Bracers and Archers Bracers, all adorned with the emblem of the White Tree, the symbol of Gondor. All available to order from our Etsy Store.